Hello there! Hope everyone had a very nice and safe Memorial Day weekend. We were quite busy with parties and such, but had a great weekend overall. I think the best part was making a new friend. Have you ever met someone and just taken to them immediately? To the point where you could have talked to them for hours? That happened to me at a party the other night. Now that I’m older, I find it harder to make friends, so this was a very nice surprise. I had another lovely surprise when I looked through my photos just now. 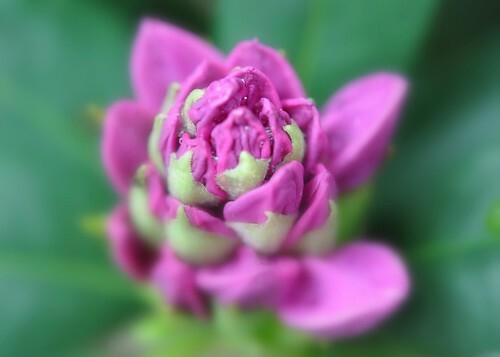 I’d forgotten about the rhododendron buds I shot earlier this spring. Here’s one au naturel…. And here’s one with some “soft focus”added. OK, so I’ve been playing around with Photoshop Elements 8 for about a week now and am finally getting the hang of textures (I think!). 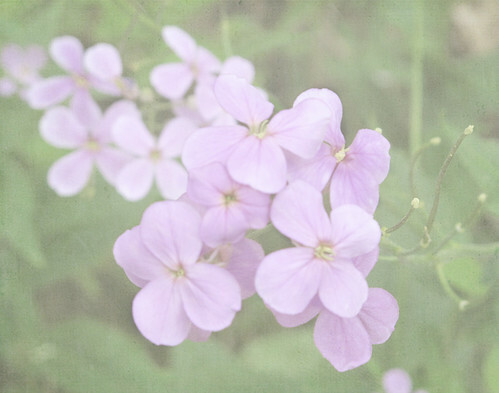 Here’s a flower photo with Kim Klassen textures. I think it turned out pretty nicely…. Kim Klassen has a great blog where she offers instruction on textures and free downloads. I’ve learned a lot from her and am very grateful. If I ever get to the point where I can create my own textures, I will offer them for free too. 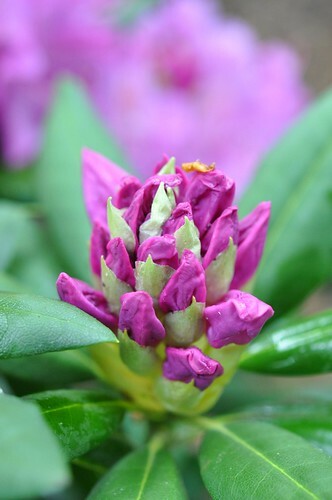 This entry was posted in flowers, photography and tagged friends, Kim Klassen textures, macro, rhododendron. Bookmark the permalink.